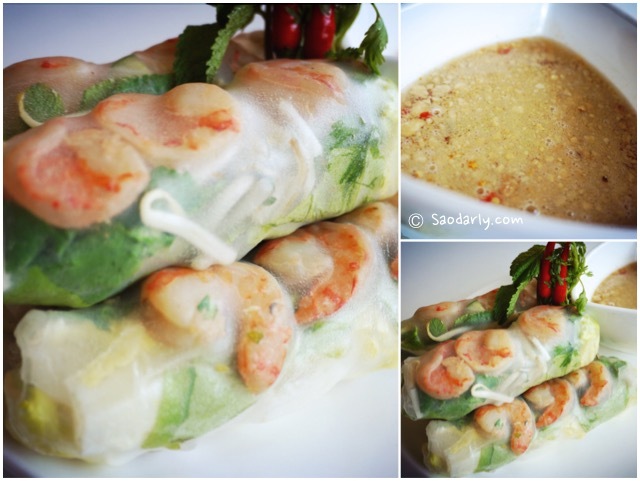 Fresh Spring Rolls with Tiger Prawn (Yor Dip Sai Koong ຢໍ່ດິບໃສ່ກຸ້ງ; Yor Khow Sai Koong ຢໍ່ຂາວໃສ່ກຸ້ງ) for lunch. 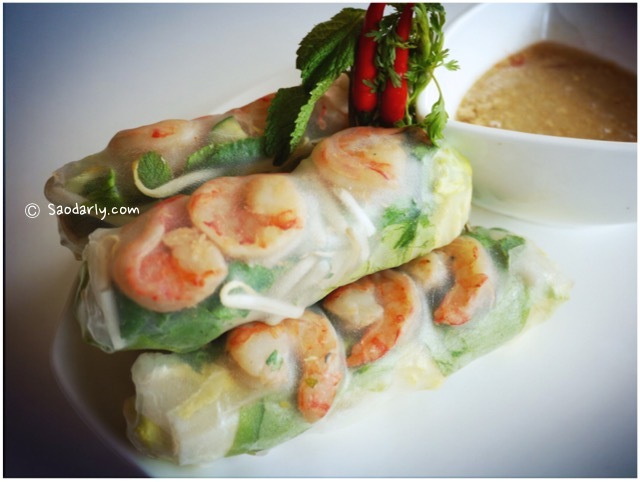 I didn’t use rice vermicelli noodles in the rolls since I had plenty of tiger prawns. 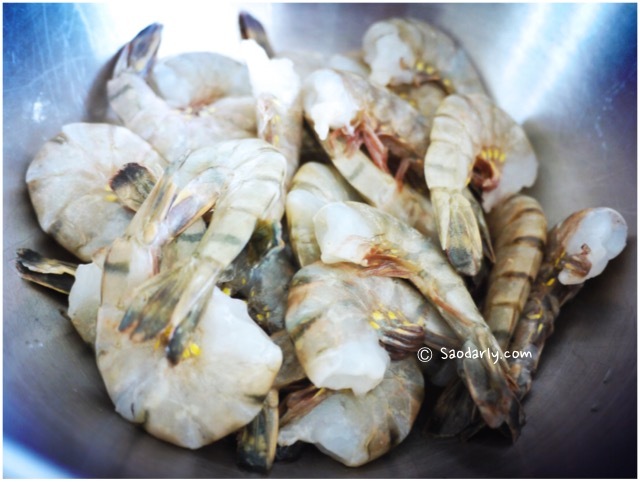 The fillings were lettuce, bean sprouts, mint, coriander or cilantro, and tiger prawn cooked in oyster sauce with no oil added. 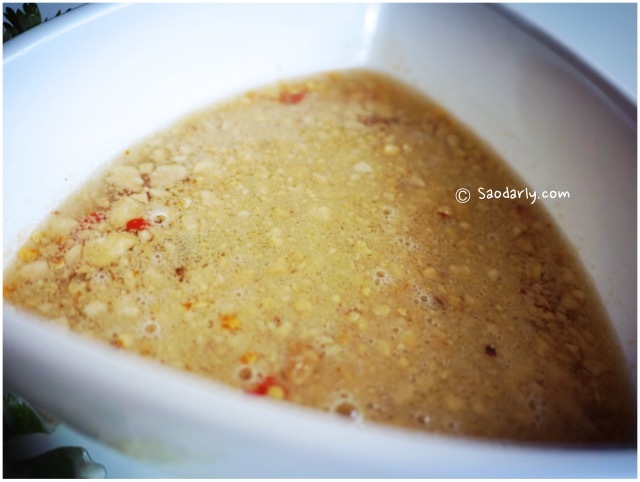 I also made sweet chili sauce to go with the rolls. 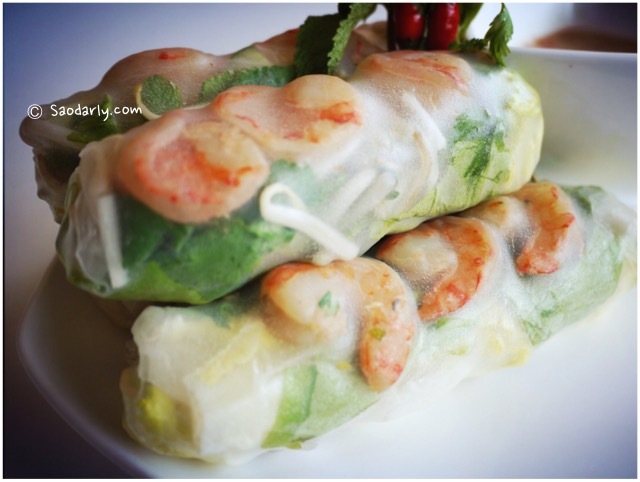 It was a delicious lunch and I could eat Tiger Prawn Spring Rolls any day of the week.